Roundup is Monsanto’s trademark weed-killer — the first glyphosate-based herbicide to enter the global market. Launched in 1976, Roundup was touted as an innovative breakthrough for large-scale crops, commercial lawns and the household garden. The non-selective herbicide could kill nearly every weed without causing harm to the environment or the people using it. At least that is what Monsanto claimed. We now know that the active compound glyphosate is a carcinogen, and plaintiffs around the country allege that Monsanto has known this fact for years. Roundup lawsuits contend that agrochemical giant Monsanto purposely concealed cancer risks and failed to provide sufficient warnings on the dangers of glyphosate exposure in both agricultural and horticultural applications. Monsanto, which was recently acquired by Bayer, has always represented Roundup as being non-toxic to humans, even though thousands who used the herbicide are now battling non-Hodgkin’s lymphoma and other severe illnesses. Individuals who developed cancer following Roundup exposure may have grounds for legal action against Monsanto. The majority of Roundup lawsuit filings have been brought by landscapers, groundskeepers and gardeners who routinely used Roundup during the course of their employment. If you were diagnosed with lymphoma or another type of cancer following Roundup use, reach out to Rutter Mills for a free case evaluation. Our veteran attorneys have the resources and skills to hold negligent companies accountable for their actions. 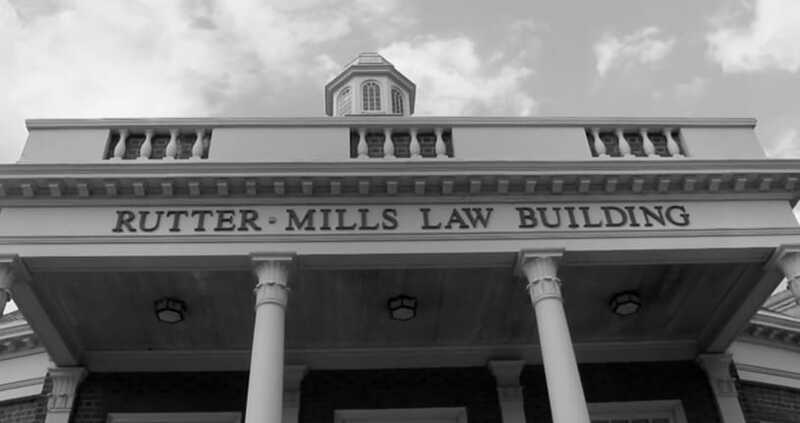 Rutter Mills provides tenacious, results-focused representation to clients who were injured because of dangerous or defective consumer products. In 2015, Monsanto reaped close to $5 billion for all its glyphosate-based herbicides, marketed under the brand names: Roundup Pro, Roundup Ultra, Ranger Pro, Bronco, Accord, Honcho, Campaign and Landmaster. Glyphosate is the most common active herbicide in American agriculture with over 200 million pounds used annually. Litigation filed against Monsanto states that the company employed deceptive and misleading language to boost Roundup sales, despite studies that indicate the cancer-causing effects of glyphosate. A 2014 report, published in the Journal of Environmental & Analytical Toxicology, found that chronically ill humans showed substantially higher glyphosate residues in urine than healthy population. Researchers have determined that widescale agricultural use of Roundup is linked to higher rates of non-Hodgkin’s lymphoma – a cancer that starts in the lymphatic system. Aggressive, or high-grade forms of lymphoma can spread rapidly, reducing survival rates significantly. An arm of the World Health Organization recently performed an extensive analysis on glyphosate effects and classified the agent as a “probable human carcinogen”—the second strongest hazard rating. Roundup lawsuits alleging the herbicide caused cancer are pending in California and Missouri courts, where cases have been consolidated to streamline pre-trial proceedings. Judge Vince Chhabria is overseeing Multidistrict Litigation No. 2741 in California federal court, where close to 650 Roundup claims are pending. One of the first Roundup cases to go before a California jury resulted in $290 million verdict for the plaintiff, a groundskeeper diagnosed with non-Hodgkin’s lymphoma. The landmark award included $250 million in punitive damages, meant to punish Monsanto. While Judge Suzanne Bolanos later reduced the punitive damage award to $39 million to comply with state laws, the outcome suggests further victories for remaining plaintiffs. Other Roundup trials are slated to start later this year in St. Louis, Missouri – the original headquarters of Monsanto. Bayer and its Monsanto unit face counts of strict liability (design defect); failure to warn; fraud; negligence; and breach of express and implied warranties. Bayer’s chief executives said the company might consider a global Roundup lawsuit settlement, depending on how much the legal expenses rise. “If we can settle nuisances at some point where the defense costs in preparing cases are higher than potential settlement amounts, we will of course consider it from an economic standpoint,” CEO Werner Baumann was quoted in Reuters. In the meantime, Bayer continues to stand behind the safety of glyphosate-containing weed killers and plans to appeal all verdicts. Rutter Mills is currently investigation claims involving Roundup-induced cancer. If you were harmed because of Roundup exposure and need effective legal representation, we encourage you to contact our offices for a private consultation, free of charge. We are committed to seeking justice on behalf of the injured and will fight tirelessly for the legal damages you deserve.